Check out Juana Sandoval and her sweet ride! She built the bike herself out of bamboo and carbon fiber at the Bamboo Bike Studio. She recently moved from Columbus, Ohio to Minneapolis, Minnesota, but always wanted to do a bike tour of Ohio, so she's trying to squeeze it in before the snow flies! Yesterday was the first day of her tour, and she stopped by the Century Cycles store in Peninsula to, of course, buy a warm jersey and socks! 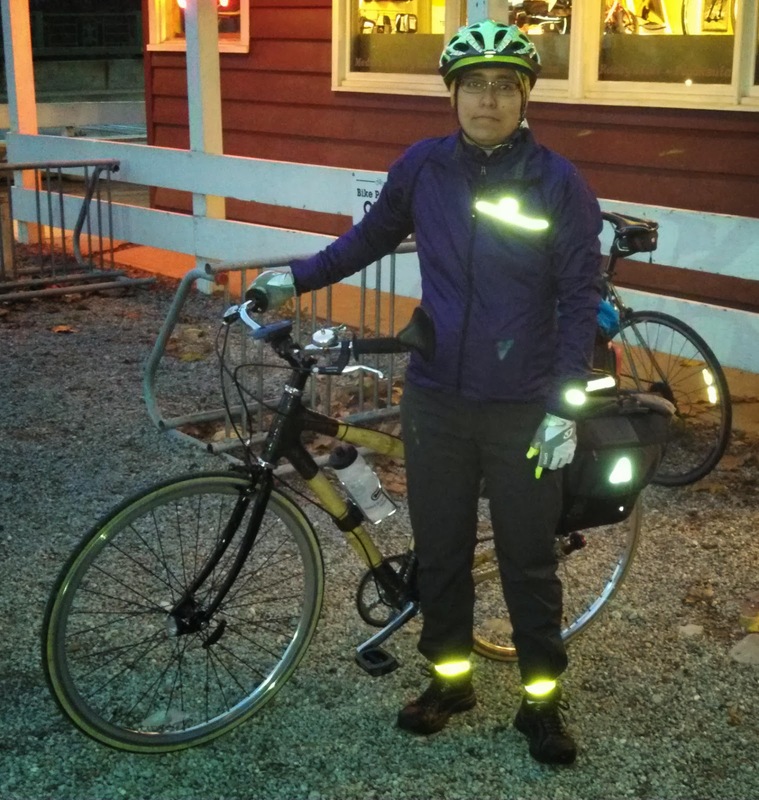 She's riding the Ohio to Erie Trail from Cleveland to Cincinnati. You can see more pictures of touring cyclists who have visited all three of our stores in our Bicycle Touring Photo Gallery.